Stumbled Upon these and wow what incredible images! Congrats to the divers. 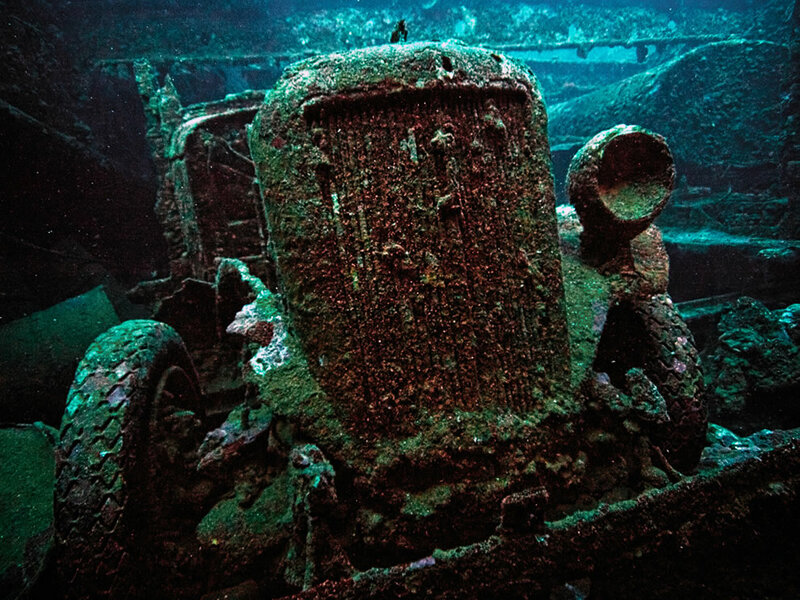 Someday I hope to dive the Ghost Fleet of Truk Lagoon! Beautiful! Will pass these on to my diver friends!! As an old diver I envy your exploits. I”m sure it was an eerie experience to be down where so many people died. You don’t suppose that anything remained sealed up after all these years? The AVE gas seems to be. I wonder if some bulkheads or tank could have made it, I bet some place there is an air pocket with something in it. Just a thought. These are great photos. Really exciting to me. I think at one time it was called ” Iron Bottom Bay ” Well Done !! 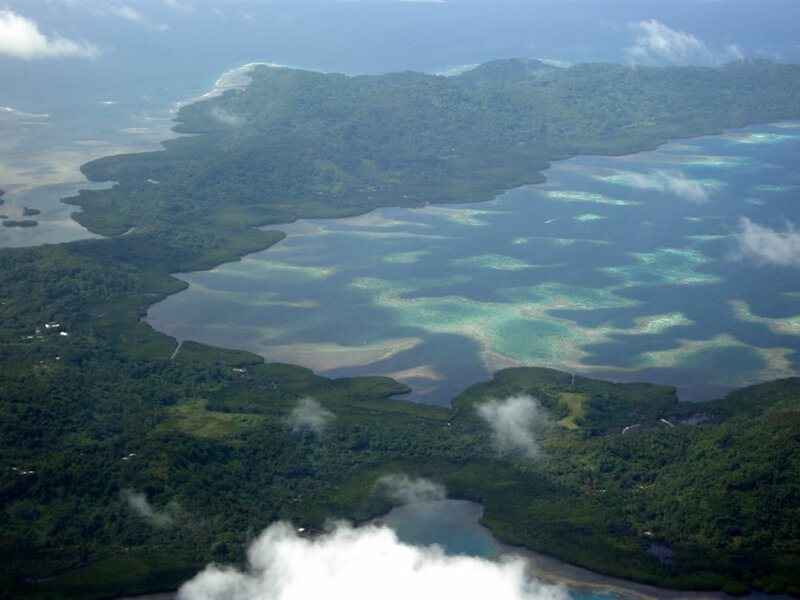 Charles you’re thinking of “Iron Bottom Sound” which was between Savo Island and Guadalcanal. 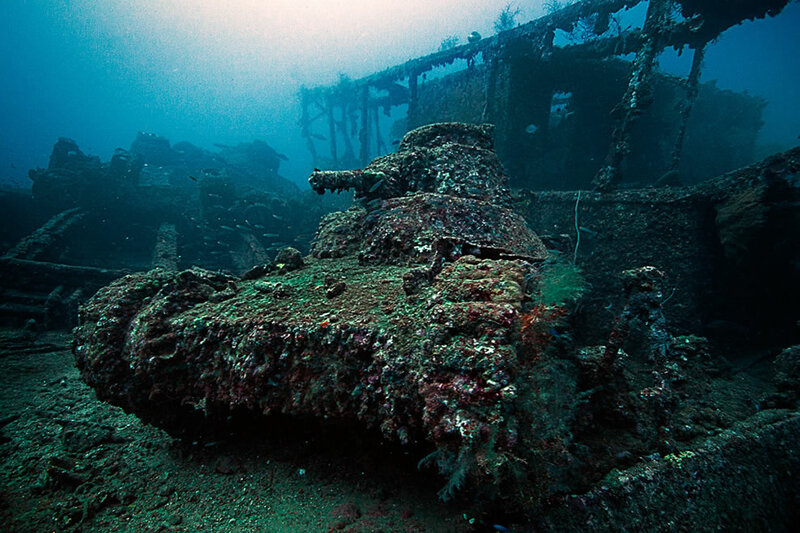 Iron Bottom Sound was a name that was applied to the Battle of Savo Island off Guadalcanal in the Solomon Islands on August 9, 1952, not Truk Lagoon. 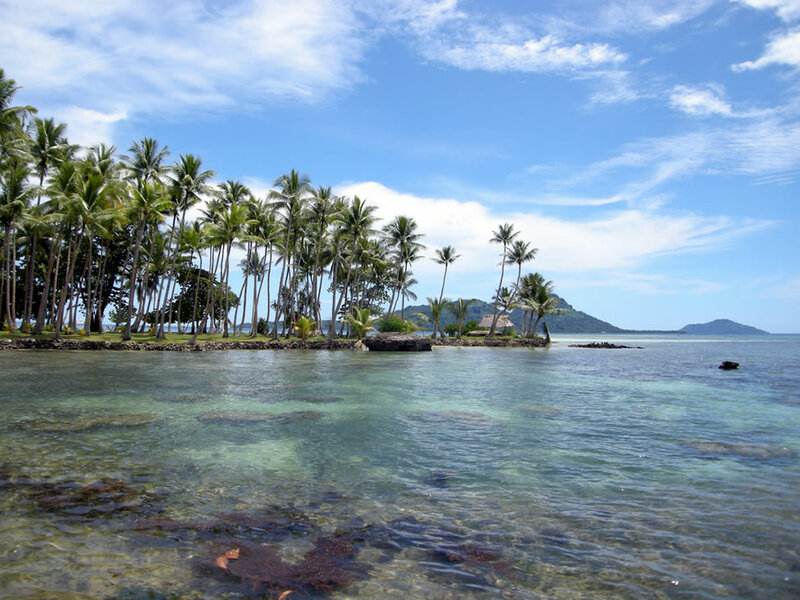 I traveled in Micronesia as a youth (1979) but never made it to Truk, though I met several people from there who told me of the islands. Still a ‘tropical paradise’ I see & am glad for it. Hope to be able to visit again some day. Wonderful photography & thanks to you all for the risks you had to take to get these amazing photos. I must confess these are some of the most interesting pictures I’ve seen for a long time. Loved it ! These images are both poignant, and extremely impressive. Its hard to believe that war ever touched the shore of such a beautiful place. Thank you for the photo’s. Amazing pictures, the photos of the tanks and planes in particular, as well as the gas masks gives an excellent perspective to this often overlooked battleground. I gotta say you’ll have some great memories of these fleet. 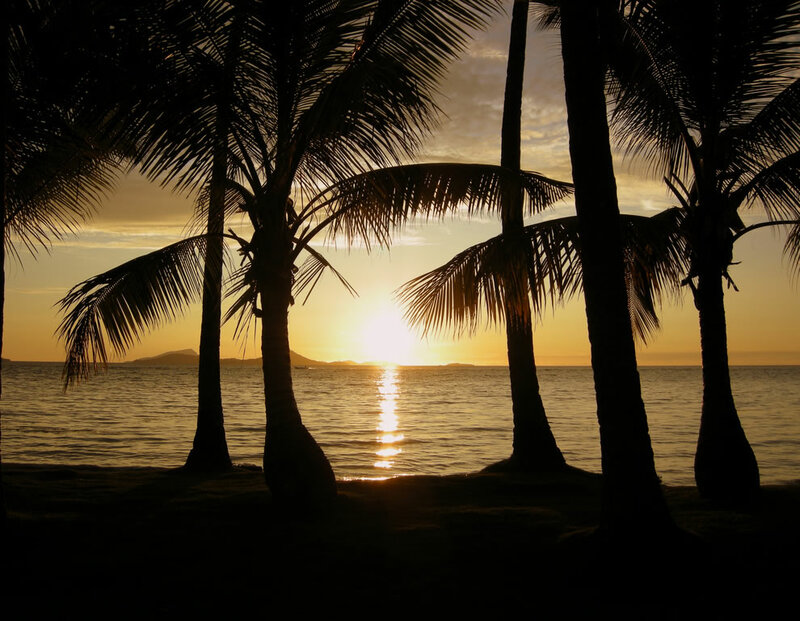 Love the pix, missing the islands..
Great photos, I know the depths some of these were taken at. I’m not really big on wrecks, though. The military would like us to think they are doing a great service by creating “artificial reefs” but they are really just dumping their garbage so they don’t have to deal with it. Yes I know Truk is the aftermath of war and therefore different. Glamorizing war is another sore subject for me. 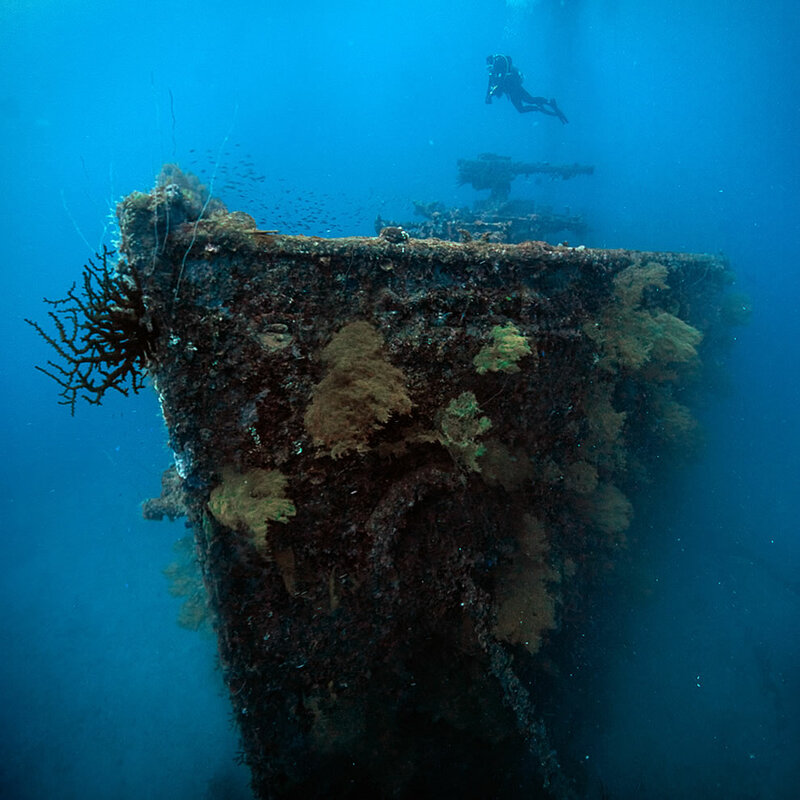 I think wrecks are ugly and can be extremely dangerous, with collapsing structures, jagged rusty spikes, silt which clouds visibility etc. This is one dive I’ll skip, but thanks for sharing. What a great reminder. I dove Chukk in December 2006. The memories this brought back were wonderful. Blue Lagoon is a wonderful resort. Thank you for this run down memory lane. I’m also exploring decayed building, but this is just amazing! There’s almost no one who have seen these wrecks like you guys. That must be something really special. The photos are almost unreal such beauty of decay. Amazing!!! Thank you MATT for showing me the things that only a privileged few will ever see!!!! Great shots. I just got my first underwater housing and haven’t taken it out yet. These shots make me wanna go NOW! Hauntingly beautiful. Wow. Thank you for sharing these incredible images. These pictures are beautiful… thank you for sharing them. It breaks my heart to see so much and know how many lives last knew that place in consciousness… God bless any souls that may still remain there. Amazing photos. What a trip that must of been. The sun sets were awsome. Great idea for a post.Thank you! When I lived on Guam in the late 80’s I was lucky enough to go on a diving trip to Truk and it was one of the most amazing trips of my life! 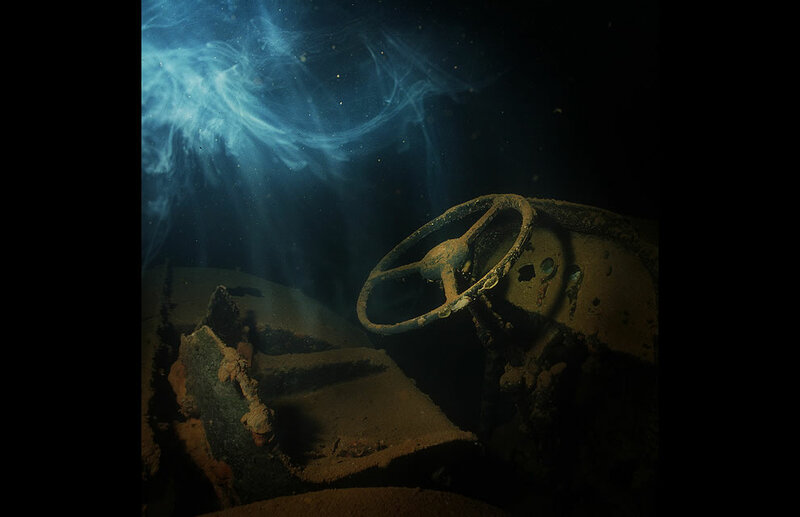 I did not have an underwater camera and you just gave me the gift of a lifetime with these amazing photos that take me back so clearly to such a memorable event in my life. Thank you so very much!! 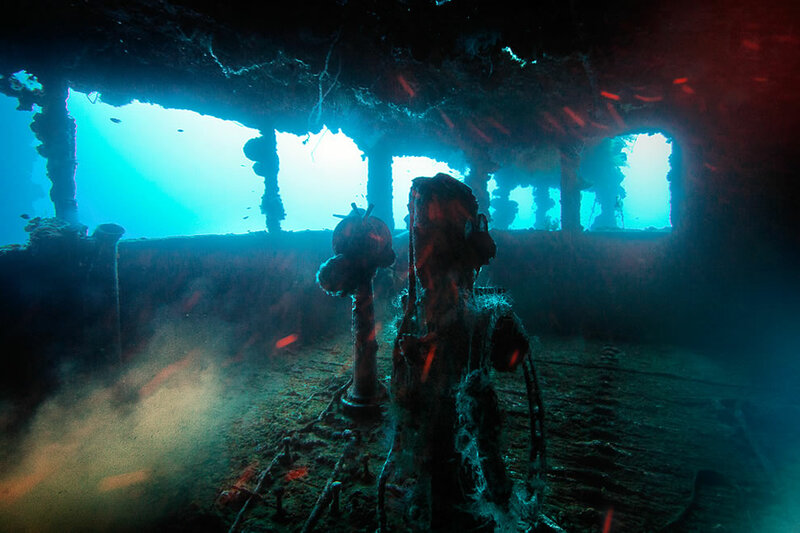 Wow, For my six year old to sit there and admire ur photos its just very impressive..
Wow, I’ve always thought underwater photos were a bit eerie — these ones seriously live up to that belief. These are amazing. Very striking, breathtaking, and very, very solemn. What camera was used for making such beautiful pictures? Phenomenol, tragic, sad, mysterious, i am simply speechless. the events that caused this more than horrible but close to 70 years later leaves an almost magical image. rest in peace to the brave souls of WWII who had no idea what they were in for. 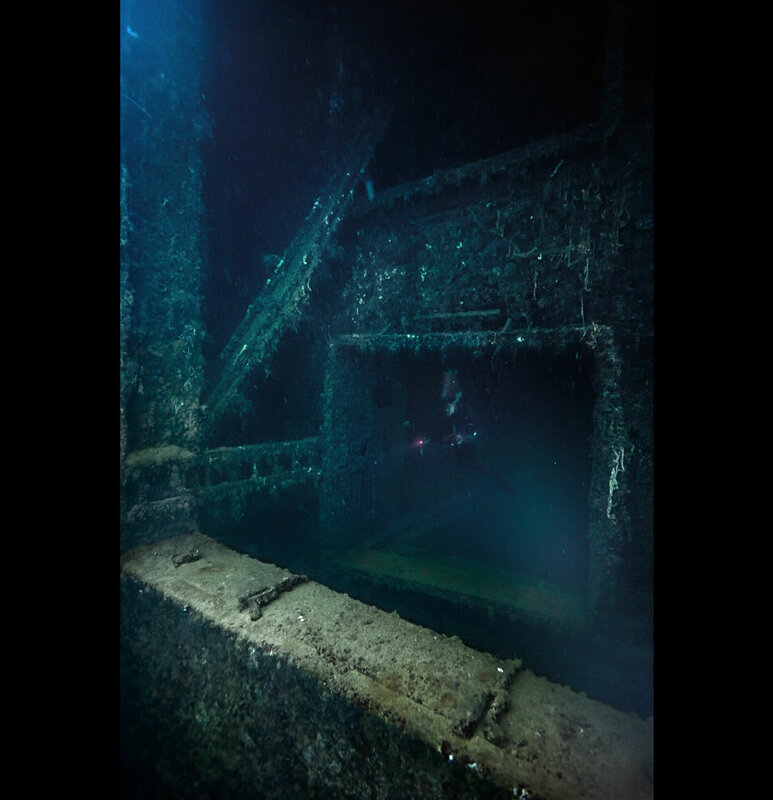 I am a student striving to become an underwater photographer. 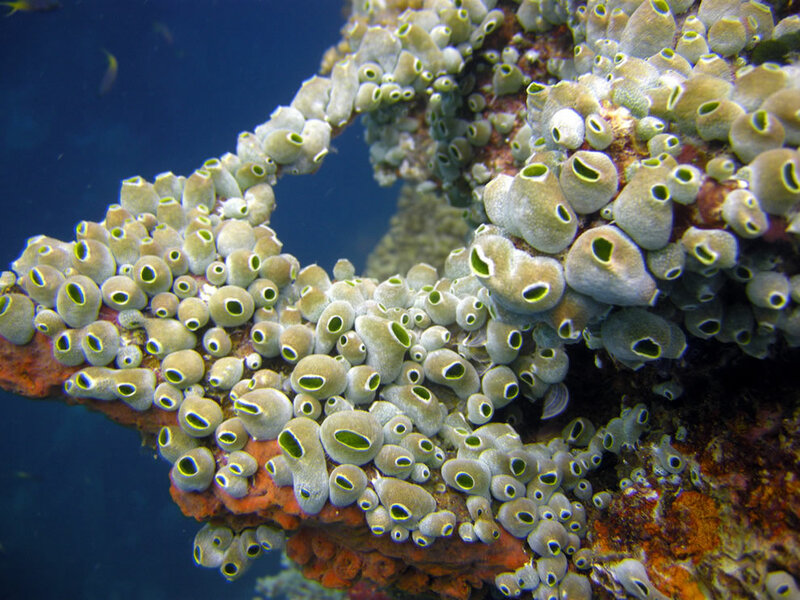 I was curious of where (if you did) go to college for underwater photography and any insight you had on the subject of underwater photography? I dove Truk in 1977 with my buddy and my old Nikonos underwater camera and flash. I have about 400 Kodachrome slides but your work puts mine to shame, thanks to modern technology. Thank you for the excursion. locations as best he could and he would start a dive operation there later and take divers on tours. to a lot of detritous in the water and visibility not great. I understand that many of the ships are not longer diveable due to disintegrations. We saw a lot of saki bottles in the officers quarters and Asahi beer. Officers quarters had beautiful shower and bathroom tiles with blue on white oriental designs. Good divin’ mates! 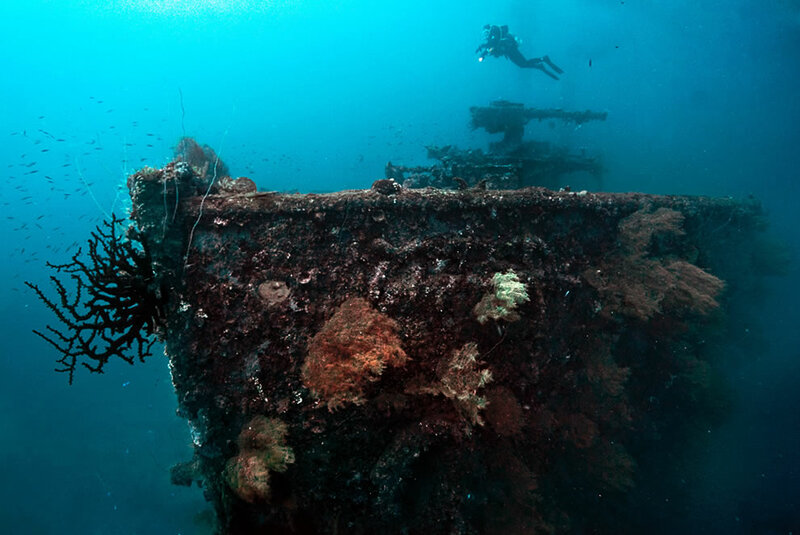 Truk Lagoon is one of my bucket list dive destinations. 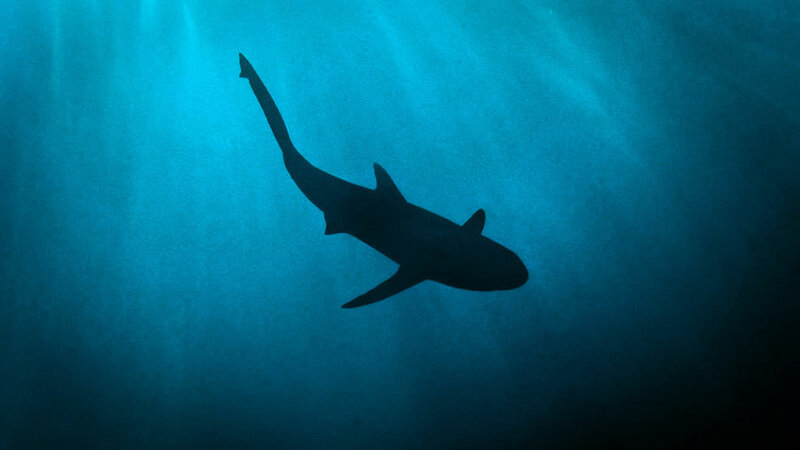 I have been so inspired since reading an article in a dive magazine years ago. 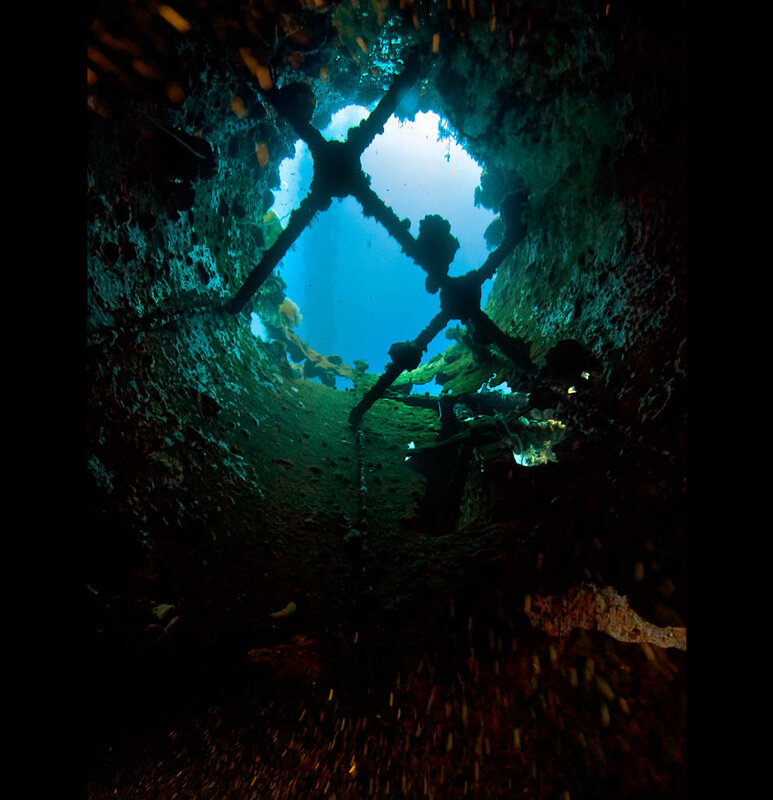 I am so looking forward to one day diving those wrecks below in Truk. Amazing images! I am sitting here with my 5 year old son and both of us are amazed with this work. What amazing photographs. You really get the sense of what it might be like down there. Great clarity in the images and interesting composition keeps you interested. This looks awesome. I wonder if there’s buried treasure down here! Wow these pictures are amazing. I’ve never been able to scuba but it seems like something everyone should try. 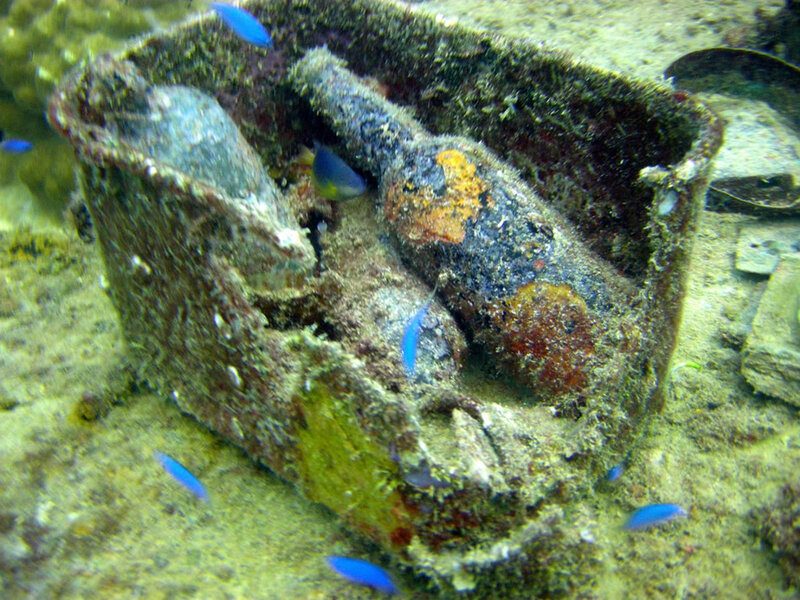 Seeing these comments and replies about the shipwrecks back in Chuuk that make me want to say this,as they seen the beauty outside the wrecks but if you seen inside show no life and you can tell even the fish are scared to live in and it shows you what the fish know or whatever could cause them in great danger as we humans will do the same without these wrecks it would be a great place for the fish to lay eggs and live in a healthy clean place.It would also be a future place for the Chuukese people who depends on this wild life in the ocean in this beautiful lagoon in Chuuk. Most are waaaaaayyyyy too creepy but, loved the coral. 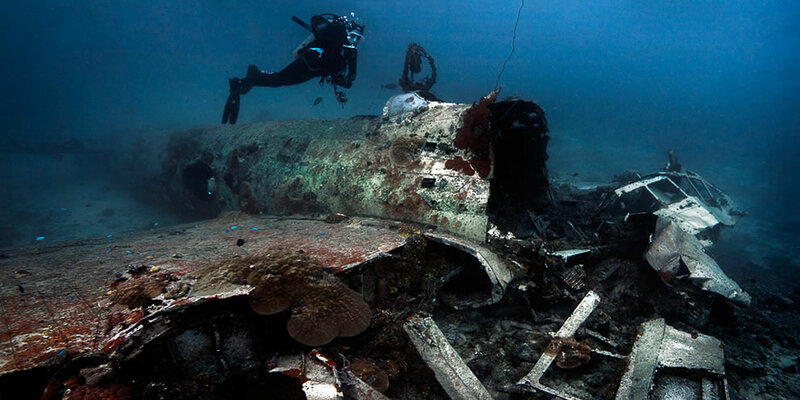 I dove many of these wrecks in Truk Lagoon in the mid-70’s. 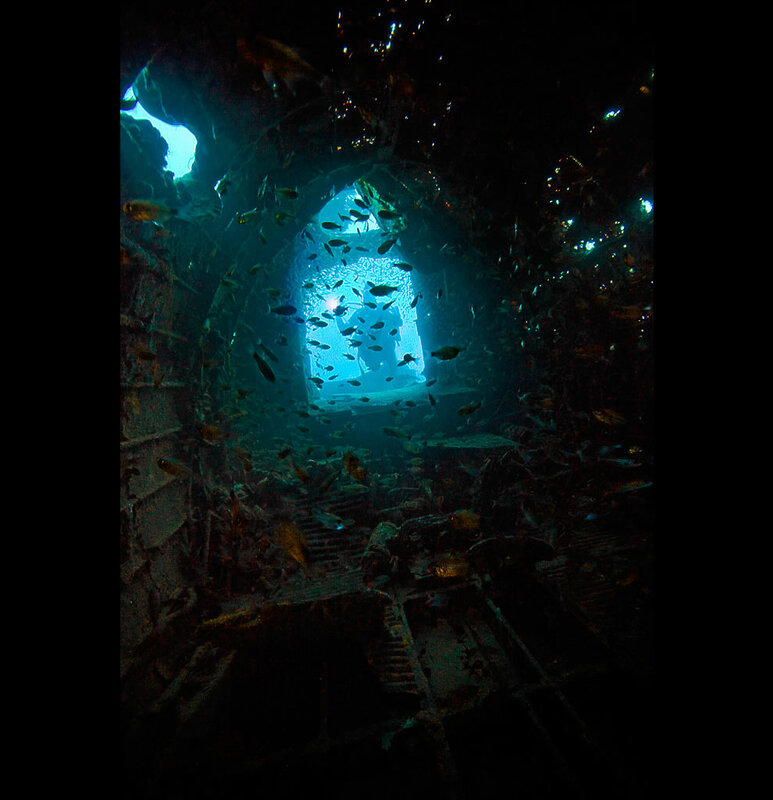 I couldn’t afford an underwater camera or housing at the time, so am enthralled by these photos – they bring back so many memories!! 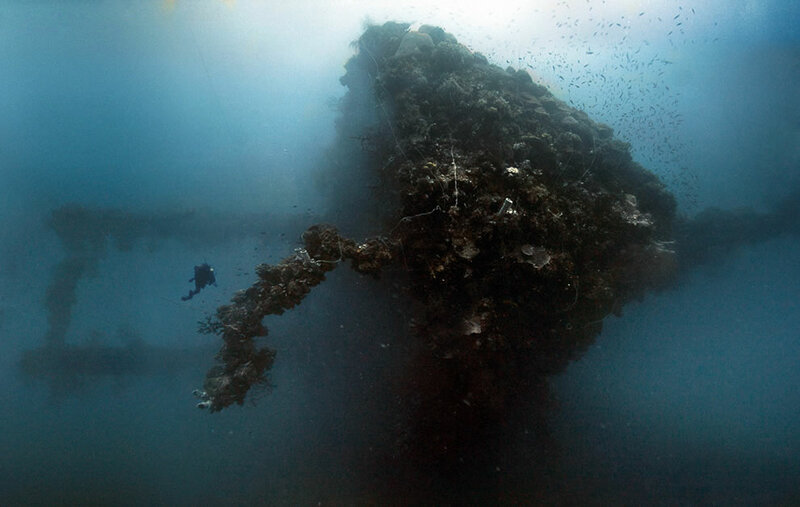 These are among the best dive photos I’ve ever seen from the wrecks. 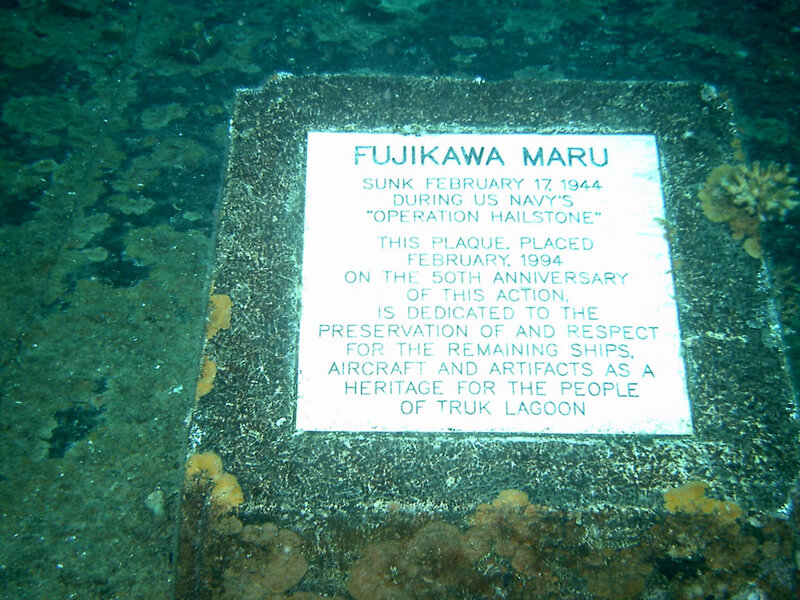 I dove the Fujikawa Maru for both a day and night dives – astounding and once in a lifetime stuff. My dive log is full of wreck names and impressions. These photos bring so much of that back to life for me – ironic as it’s now known as the Ghost Fleet. Great pix! 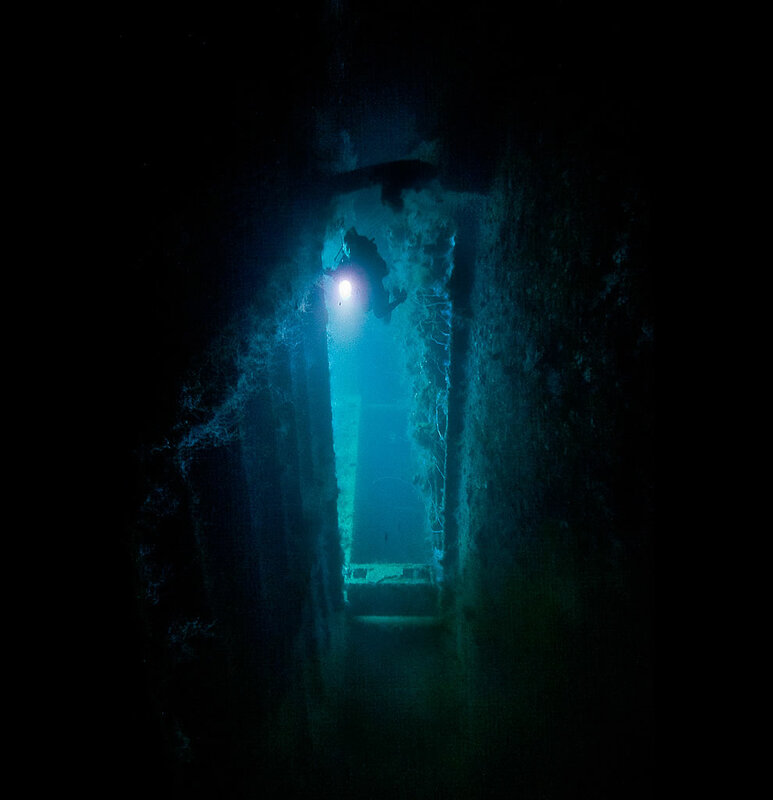 I just dove the Blue Grotto on Saipan and Truk is next! What strikes me about these pics is the majesty of nature – turning a hellish nightmare into what seems like a Gothic fairy tale. Or Carl Sandberg’s poem – I am the Grass – I cover all…. O God no words to describe the awesomeness! The one who captured those moments in photos, Hats off to him! 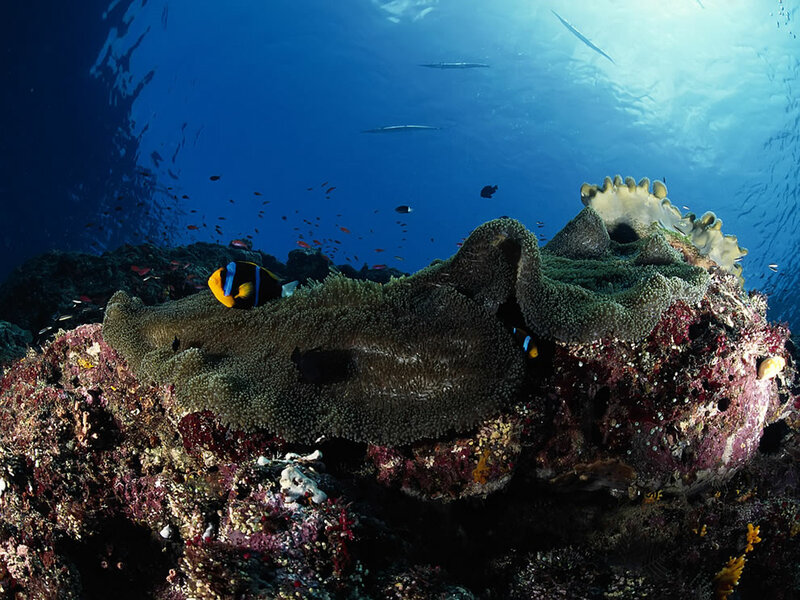 Thanks for the great job of underwater photography. Not easy to perform at 150 feet plus. I hope to dive truk at some time. I was a Peace Corps Volunteer Stationed on Tol or Wada in Trukese from 1966 through 1968. I was assigned to the island of Tol or Wada in Trukese. There were some hardships; No cars, bars or electricity at least at that time. It was a lush beautiful island. Sun rose at 6 am every day and set at 6 pm every evening. Warmest part of the day was at noon in the tropics. 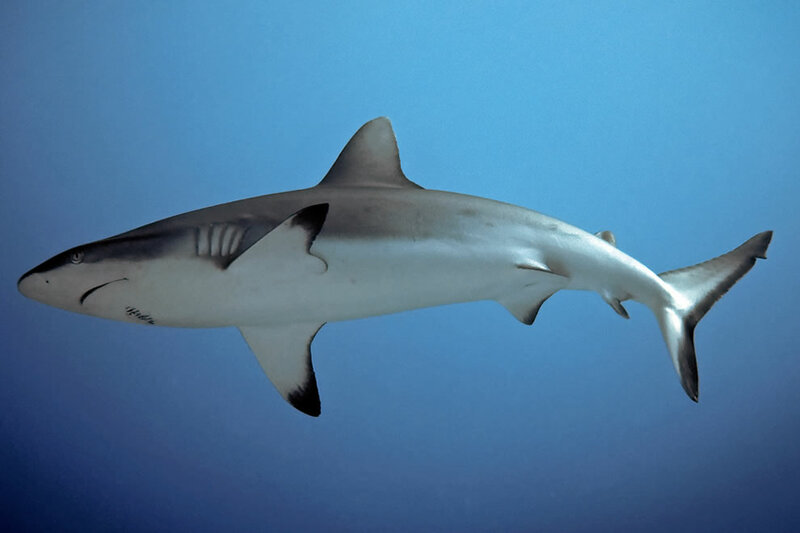 I did some snorkeling but Always had to be aware of sharks due to the sunken Japanese ships close by. We were stationed on chuck to teach English as a second language. Lots of breadfruit coconuts and fish. We went barefoot for two years. no sidewalks, cars, bars or electricity. Leather shoes rotted very quickly and tennis shoes caused horrible foot problems. Went barefoot for two years. 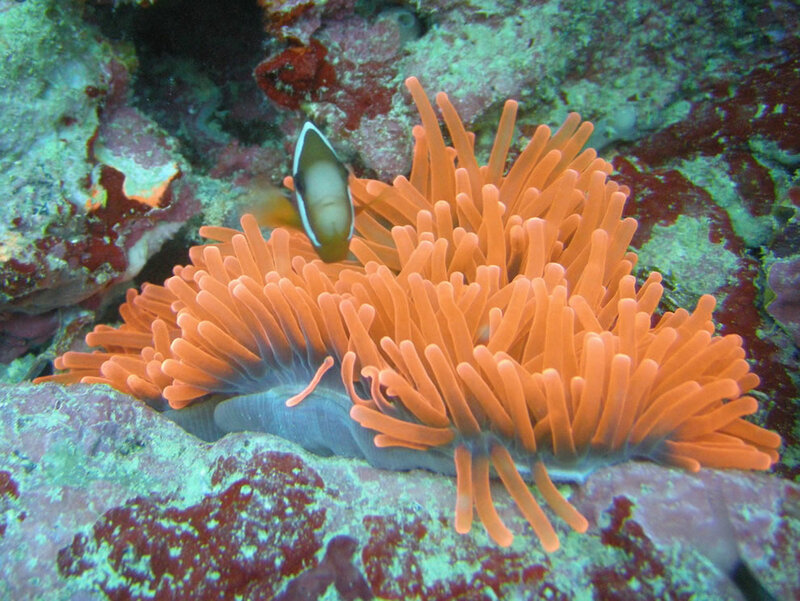 go between my legs while I wadded on the coral reef. Very abrasive to my legs. 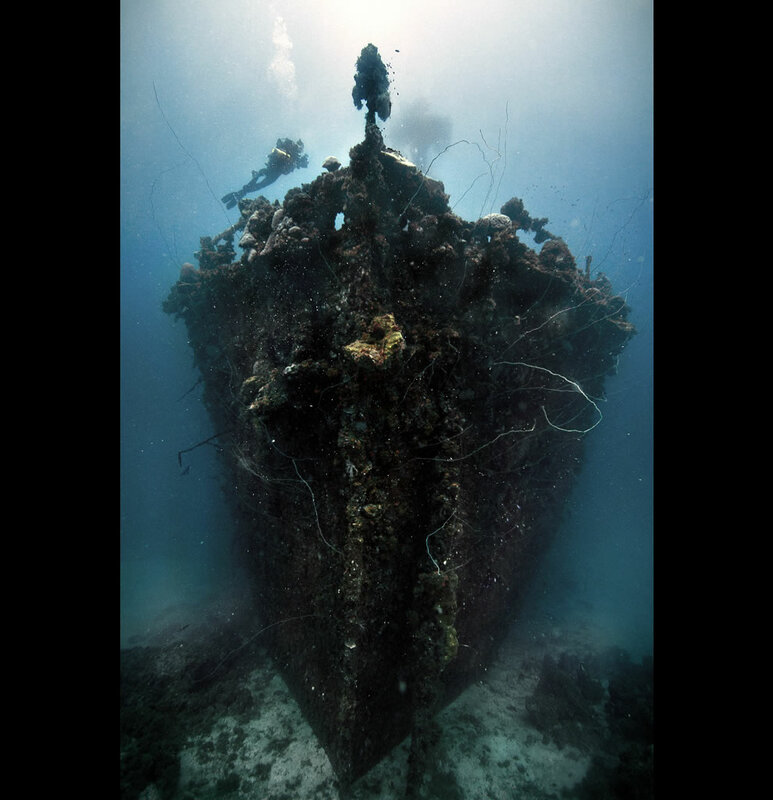 I had the pleasure of diving there in the mid 80’s while assigned at Guam. 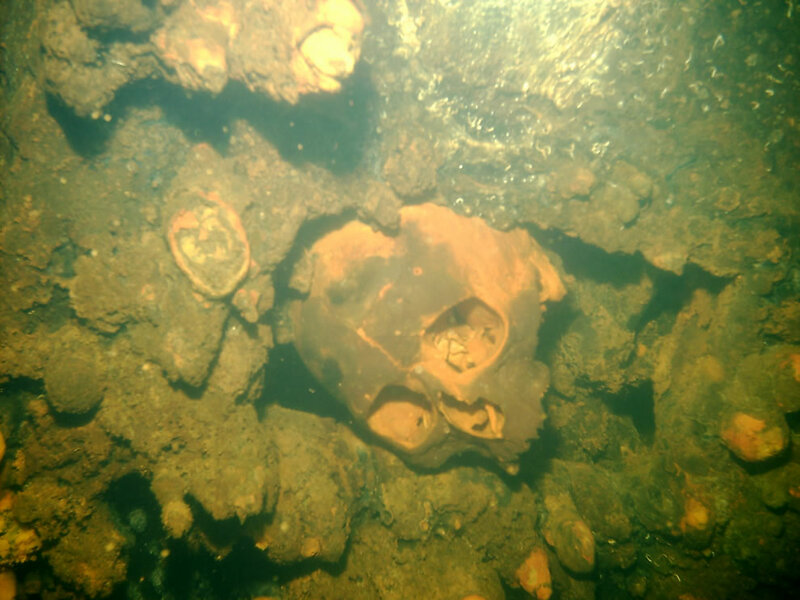 Luckily the water was clear after a typhoon had passed. Beautiful views above and below. Thanks for the amazing pictures —- I’m amazed at how beautiful they are! 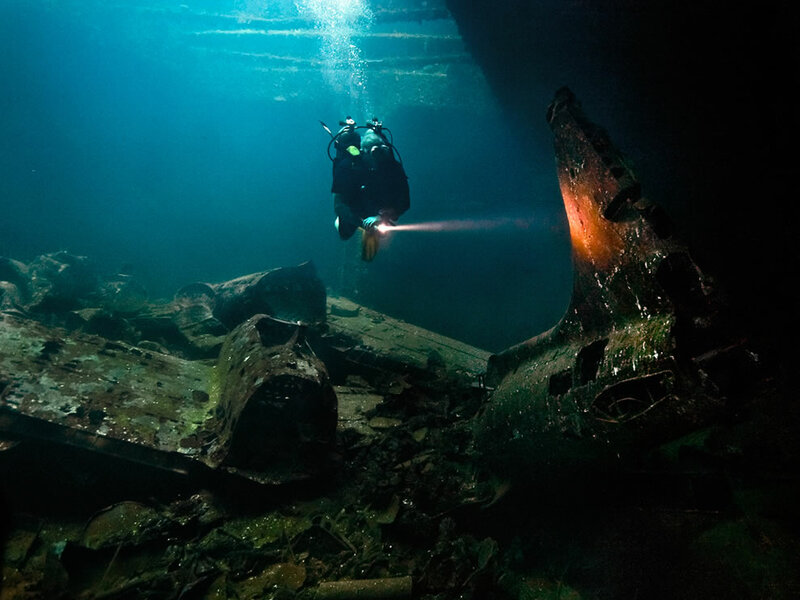 I had the great pleasure of going to Truk Lagoon in the late 1980’s with a group of friends for a full week of wreck diving and found it to be the Super Bowl of my diving experiences. One evening, we watched a film from the gun cameras of an F6 Hellcat shooting down a Japanese fighter in the process of lifting off from one of the airstrips. The next morning we dived on that very same airplane. 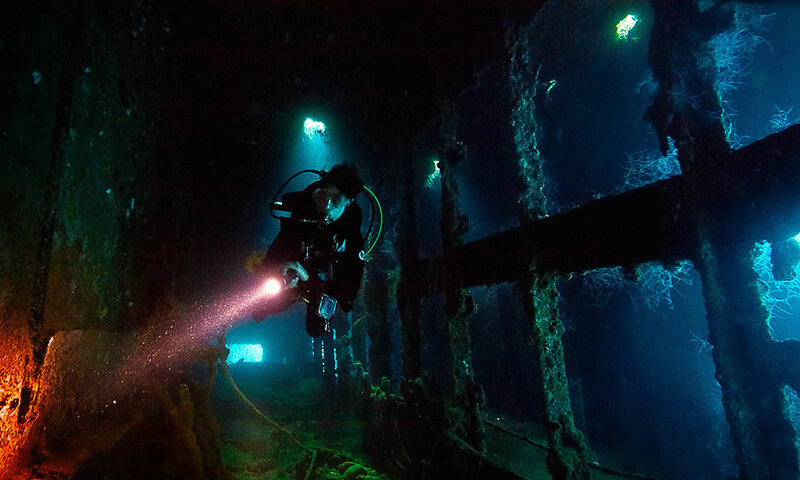 What a marvelous diving experience. Memories for a lifetime. We also dived on the submarine Shinaharu I-69 at 160 feet and witnessed the cables the Japanese used to try to save the trapped sailors. Sad. 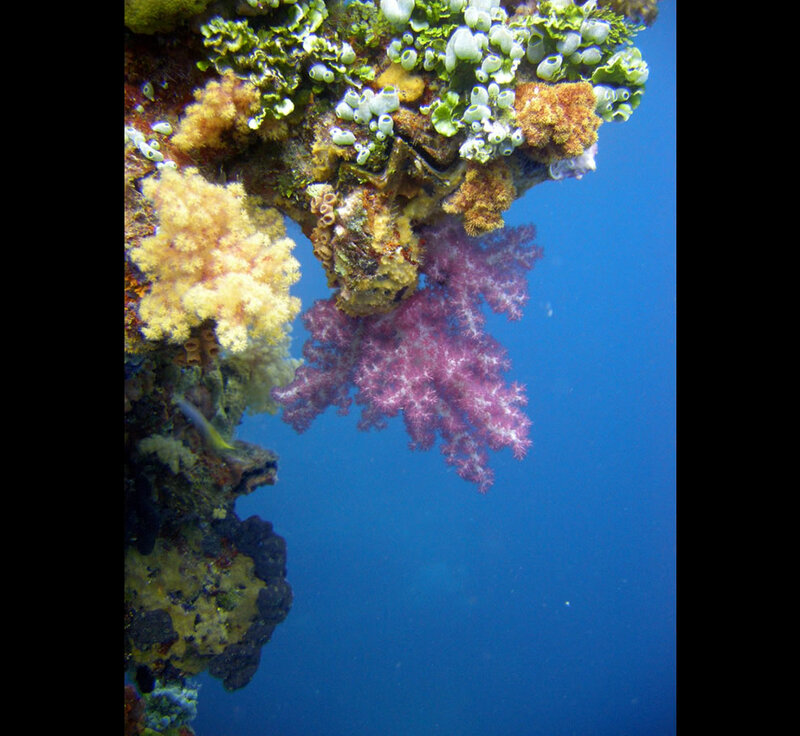 Some years ago a friend went on several dives at Truk Harbor. 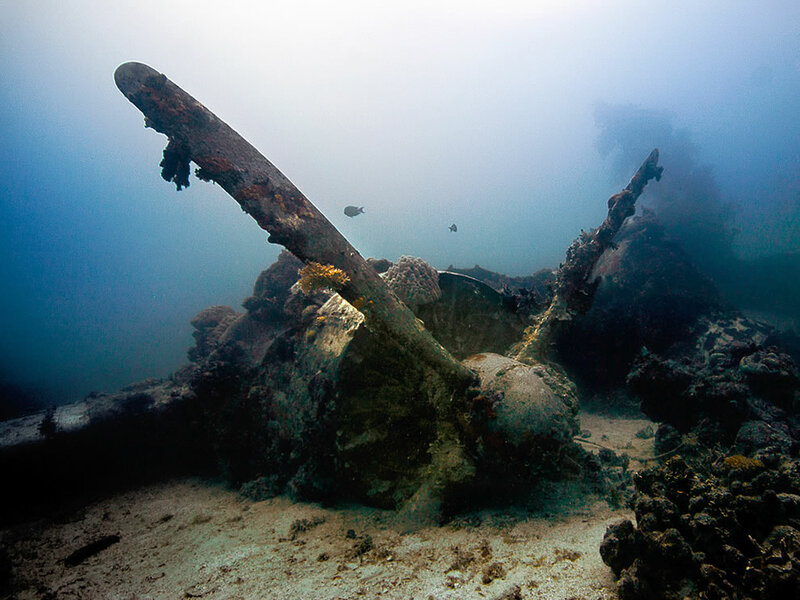 There, he and his group photographed a lot more military (warship) wrecks that are not shown here. Where it is interesting to see the tanks and aircraft on the bottom, I would expect to see more, considering Truk was the Pearl Harbor version for the Japanese. What a coincidence, my friend and Doctor is planning a visit to Truk Island this week, i’m sending this photo representation to give him a “preview” of what’s in store for the group. I thank you for sharing this presentation with me, is is fantastic, I’d love to visit there myself. After completion of my Residency in Otolaryngology/ Head and Neck Surgery, I was stationed at the 1000 Bed Army Hospital in Honolulu from 1968—1971 during the Vietnam War. I along with a group of Military Doctors and some Local Docs in Honolulu went to the new hospital at Truk Lagoon to help train some Fiji Island Docs there. I recall we spent about two weeks there giving lectures and making rounds. 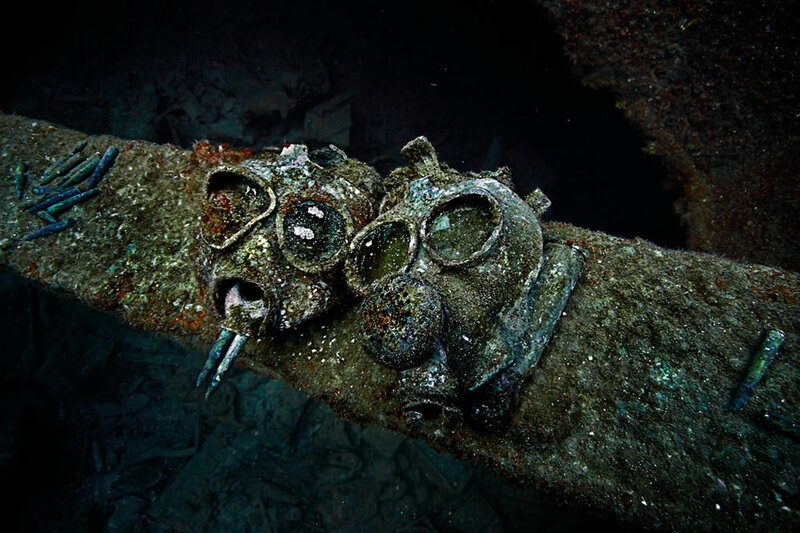 There were no dive shops, but a unit of Navy Seabees stationed there happened to have plenty of air and equipment for Scuba diving. 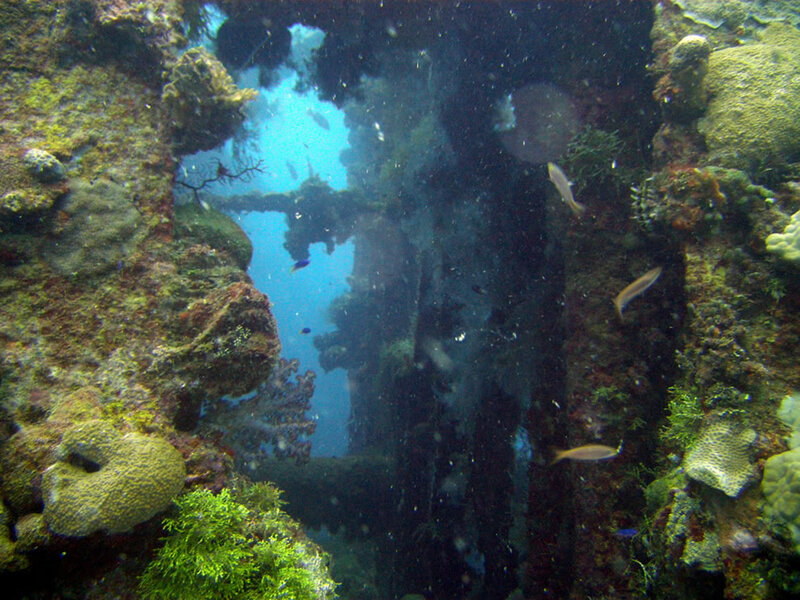 I made several dives on the shipwrecks with them. I remember seeing schools of Barracuda and several sharks, aircraft parts etc . It apparently was before the ban on removing anything from the ships as I brought back several pieces of Japanese Navy china plates and bowls along with a sake bottle, which was empty. 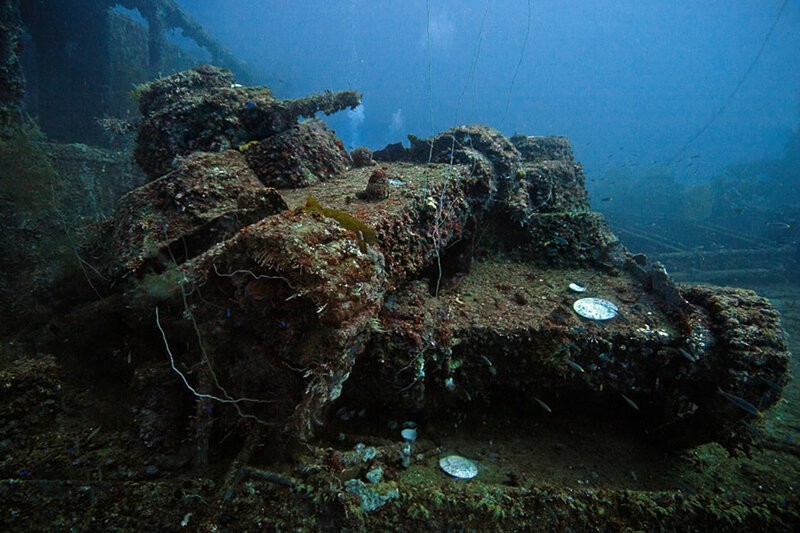 Thanks for the article by Larry Cohen “Japanese Ship Wrecks of Truk Lagoon” along with “Wreck Diving the Mysterious Ghost Fleet of Truk Lagoon” and “Truk Lagoon Diving”—they have brought back many pleasant memories. Amazing images from another world and dimension!! !